The highly popular 17th edition of Guardian's Outstanding Brands Award 2017 (OBA) annual award for health and beauty brand returns. 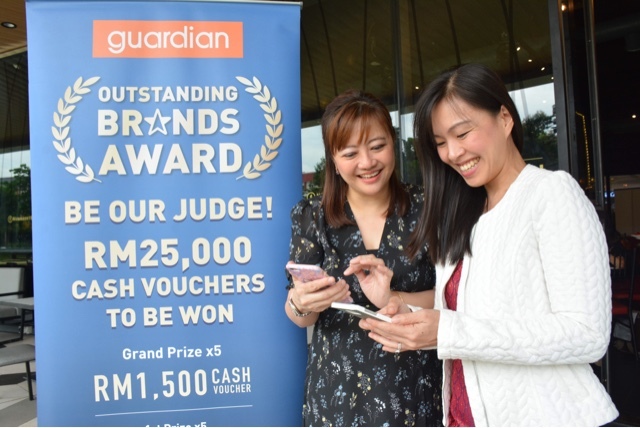 First introduced by Guardian Malaysia in 2000, the annual award has been premised on connecting shoppers with all its business partners and brand owners. Choose your favourite, cast your vote and stand a chance to win great prizes. Simple as that! 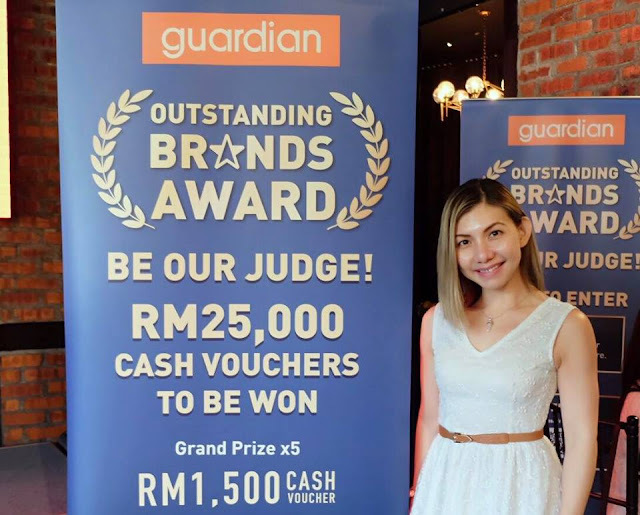 She said that since it was launched 16 years ago, the Award has grown in popularity among Guardian’s shoppers, who look forward to getting their say and having the chance to win attractive prices. “Needless to say, the Award has also evolved in keeping with changes in lifestyle, spending and shoppers’ trends. This year, the OBA will be conducted entirely in digital format. This means, all voting will be done online,” she added. For OBA 2017, a total of 200 brands will be vying for 60 categories ranging from hair care, face care, cosmetics, hygiene, supplements, medication, mother and child products and many more. There will be one most preferred brand award for each category. - Twenty five (25) consolation prize of RM200 each. To be eligible to cast your vote, shoppers are required to spend at least RM10 at the store or online. Then log on to http://m.me/GuardianOBA or scan the QR code provided to vote. Voting can be done anytime between 1 September and 27 September 2017. The contest is open to those aged 18 and above. As proof of purchase, shoppers must keep the original Guardian receipt which contains the tax invoice number, store code number, date of purchase and purchase amount. For more information and full details of the OBA and contest, please visit www.guardian.com.my.